Is a great evil about to befall our nation? The entire world is on edge and senses that something major is about happen and one would have to be in denial not to see something is right around the corner. Our government has been preparing for years by storing up food, supplies, and ammo. Also emergency red alert tests have been going out like clockwork, not to mention the media blackouts on the topic. What on earth is going on? In the video below I delve through recent discoveries about the governments preparations for an EMP or CME attack and how they are now teaming up with amateur radio operators “just in case”. Furthermore I personally have been witnessing a weekly emergency alert on my television screen. What does this all mean? The video will reveal all that and more…. But lets not forget about this! An alternative energy insider caused ripples last year due to the nature of information he leaked to the news source SGTreports. In the report the insider who goes by Jay—an alias, due to the nature of the discussion—informs us that the elite are in a state of panic and buying up all of his product, leaving him to believe we are in BIG trouble! This 20 minute video will literally send chills down your spine! “The normalcy bias, or normality bias, refers to a mental state people enter when facing a disaster. It causes people to underestimate both the possibility of a disaster occurring and its possible effects. This may result in situations where people fail to adequately prepare for a disaster, and on a larger scale, the failure of governments to include the populace in its disaster preparations. That said, are their any signs showing us that the that they might take out the grid? Possible, but lets consider this. 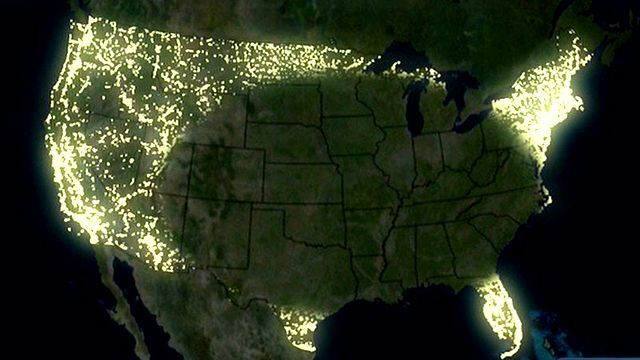 Back in 2013 the US Government conducted power grid down drills preparing for the possibility of an EMP attack, and in 2014 they started linking with amateur radios to prepare for the worst. Furthermore, everyone from Janet Napolitano, to the DHS, to James Woolsey have all discussed the possibility of an electrical grid attack via a cyber attack. Add to that the fact that the congress passed the SHIELD Act in 2014, the first serious piece of legislation that attempts to address the vulnerabilities of the US power grid. As previously reported by Off The Grid News, a recent American Society of Civil Engineers (ASCE) report gave the power grid a “D+” when grading various pieces of infrastructure and public services in the United States. NextMajor Alert! NWO Document Exposes Hellish Plans By Our Government To Control Your Family, Home Visits Included! Beware they are not who they say they are as humans. WE ARE INDEED DEALING WITH REPTILIAN SHAPE SHIFTERS. THESE WORLD LEADERS FOR THE MOST PART ARE HYBRIDS. THE ARE BOTH AN ILLUSION AND A DELUSION, WHEN THEY ARE IN THEIR OWN COMPANY, STRICTLY AWAY FROM THE PUBLIC, THEY SHIFT TO A REPTILIAN IMAGE. GLAD TO KNOW THAT THERE ARE FOLKS OUT THERE, WHO DO EXPLORE THE TRUTH. THE MAJORITY OF THE MASS POPULATION THINKS WE ARE IDIOTS, WHEN IT IS TOTALLY THE OTHER WAY AROUND. IF PEOPLE REALLY DID STUDY, BELIEVE, AND KNOW THE HOLY BIBLE, THEN THEY COULD CALL THEMSELVES TRUE FOLLOWERS IN THE HEAVENLY FATHER YAHVEH, BUT INSTEAD, NO, NO, NO, THIS CAN NOT BE. WE ARE FIGHTING A SPIRITUAL WAR DAY AND NIGHT, WITH OUR EVERY BREATH.